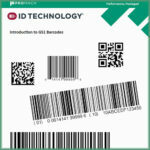 Government and retail suppliers have adopted RFID and other Unique Identification (UID) Labeling standards to help manage the supply chain process. This movement has affected many businesses around the globe. Except for a very few, it’s no longer a matter of IF you will need to comply, it’s when. The recent trend shows the largest defense companies are now passing standards down to their suppliers. There has been a steep rise in the need to supply UID labels. This is a simple label but doing it correctly the first time and every time is anything but simple. Following the standard for Construct 1 or Construct 2 with the Data Matrix bar code is a product of many pages of documented specifications. The size, printed and bar coded information, as well as the material of the label, is specific. Companies are forced to take a second look at how they label products throughout their production process. Many are choosing to standardize their labels to unify their product’s image, simplify the buying process and will be ahead of the others as mandates are handed down. For many, it makes sense to start with a label printing service. This has allowed customers to get the label format set up, the required information bar coded, and verified according to the Military Standard. Answer a few short questions and your labels are printed and sent to you – no worries, no delays. You’re in compliance. Should your production needs change, you will be in position to take the label printing in house and print on-demand.